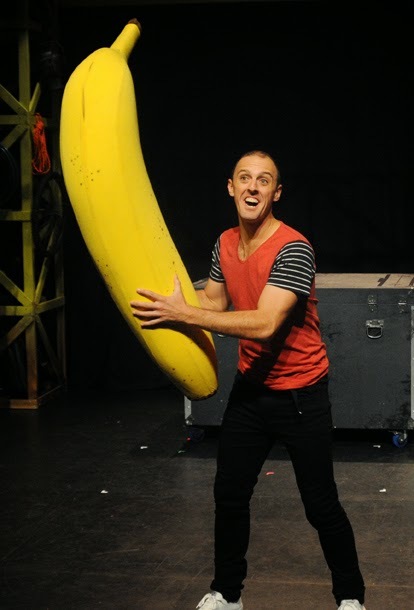 I was recently given two tickets to attend a performance of The 13-Storey Treehouse at Laycock St Theatre in Gosford with my 10-year-old son Matthew, who is a big fan of the Treehouse book series by Andy Griffiths and Terry Denton. 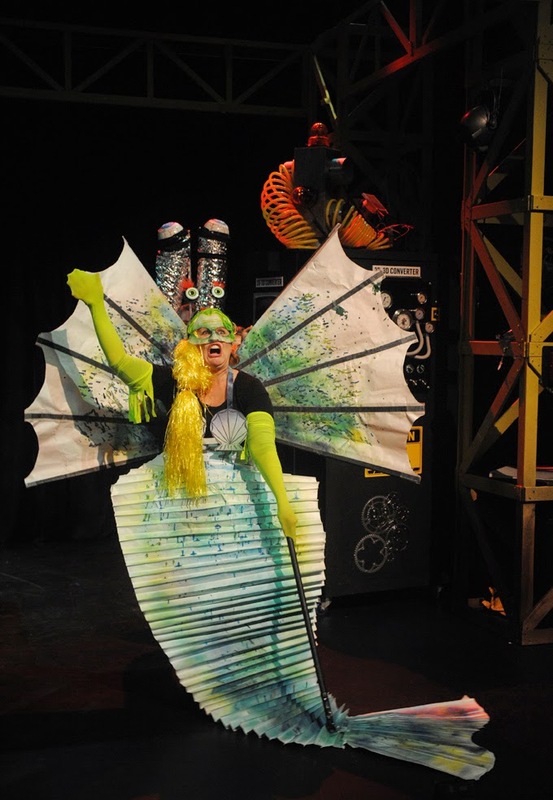 The play is an adaptation of The 13-Storey Treehouse (KBR review) by playwright Richard Tulloch, who wrote a fabulous guest post for KBR last year about the process of adapting a book for performance. You can read ‘From Page to Stage’ here. What did you enjoy most about the performance? I loved the 2D – 3D converter. It was very funny and interesting and really made it look like things were appearing. Also, Andy and Terry were interesting and had a great sense of humour. Was it the same as the book? What was different? The play was kind of the same, but instead of writing a book, they were doing a play. Andy and Terry thought it was a dress rehearsal, but really it was the actual thing. Val was the stage manager of the show and she had to replace some of the characters because apparently the actors were ‘sick’ (that’s what Andy and Terry told her so that she would agree to help). What were the performers like? Were they like the characters in the book? In the book, Andy and Terry were full of humour, and in the performance they had just as much humour as they did in the book. Val tried her best to pretend to be a mermaid, sea monster, Bill the postman and Jill. Did the audience enjoy the play? Did they get to join in or did they sit quietly? The audience, (mostly school children), really enjoyed the play. They even got to join in with a part! The audience really enjoyed themselves, and all went home with a smile. Everyone who got to see that play is very lucky. Andrew Johnston. Photo: Branco Gaica. Did anything about the performance surprise you? Was the show what you expected? The play definitely was not what I thought it would be like. In fact, I thought it would be almost exactly like the book! The scaffolding, props, and the 2D – 3D converter made the play excellent. I didn't know how they would include the flying cats in the play, but they did and it was very funny. What were the costumes and stage design like? Do you think that they helped to tell the story? The costumes and stage design really helped tell the story. The ‘props box’ and the silhouette screen made it look like something was actually happing, but you could only see the silhouette. Would you like to see a performance of the 26-Storey Tree house? That is a definite yes. Yes yes yes! The 13-Storey Treehouse is very good, but in The 26-Storey Treehouse you learn more about Andy, Terry and Jill and there are lots more interesting rooms. Eliza Logan. Photo: Branco Gaica. 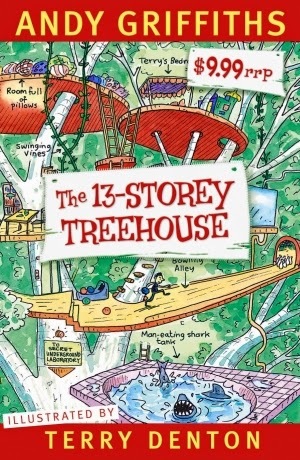 The 13-Storey Treehouse is touring in 2014. You can find dates and booking details at the CDP Theatre Producers website. 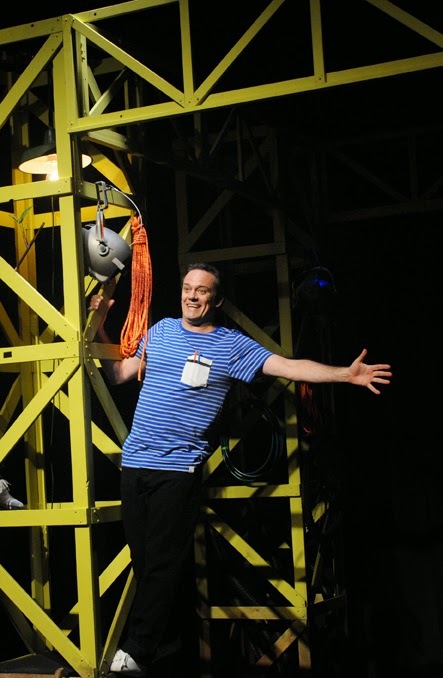 The 26-Storey Treehouse is on the way too, with preview performances in early September and the world premiere season at the Sydney Opera House from 20 September - 5 October 2014. You can find more details and register your interest for The 26-Storey Treehouse to come to a theatre near you here. If you get a chance to see either show, I highly recommend you do so. The theatre was filled with laughter and smiles for the entire peformance and the children around me barely took their eyes from the stage. I am definitely keen to see the next instalment of this great story. Adapted from the book by Andy Griffiths and Terry Denton.